Learning to make teddy bear clothes and costumes may at first seem something a little too difficult to do. But it really isn't. There has been a big resurgence in popularity in the traditional crafts such as sewing, knitting and crochet over the last few years, with many people taking up these crafts as either a hobby or as a small business. As such there are many resources available both online, locally, within your own community and in new book titles. 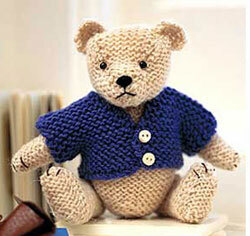 There are so many different ways you can choose to make your own clothes for your teddy bear. It all depends on the finished look you want for your bear and / or the craft you enjoy most. Here are a few suggestions and patterns available to buy online. Knitting is very popular these days and finding knitting patterns for teddy bear clothes or even baby patterns (which will fit the larger bear) are readily available. Knitting is probably one of the easier ways to create some clothes for your bear and you can keep it as simple or as elaborate as you like. The book "Knits For bears To wear" has over 20 fun patterns ranging from simple ponchos to teddy bear costumes. Crochet is another option for creating clothing made from wool and yarn. Some people find that they prefer to crochet than knit but both can give similar results. Patterns can also be found on eBay for a relatively low cost to try your hand at creating something rather special for your teddy bear. If sewing is your thing then using scraps of material to create your own unique master piece could be a innovative and cheap option. Making clothes from material will give you more options and also a more stylish look to your bear. You will also be able to create more traditional clothes for your bear such as long flowing dresses and tailored jackets and waist coats. Patterns for clothes can be obtained by using Doll Clothes Patterns and sizing them up to fit your bear. There are many different sizes and shapes of teddy bear and as such it is very important that no matter what pattern you are using, that you take accurate measurements of your bear. Here are a few tips on how to measure your bear properly. The Trunk - Measure the length of your bears body, this should include the neck, chest and waist. Measure from the back and the front to take into account any extra belly. Measure down to the point you want your garment to finish. The Head - You will have to take account of the bears head size so that clothes can fit over it. Measure around the neck and then add another inch to this measurement to make sure there is plenty of room. The Arm - measure from the base of the neck to the point you want your garment to finish on the arm. 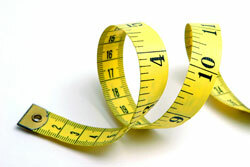 If you are making trousers you will need to measure the length of the leg to the point the garment will end. Do this from the waist. You will also have to measure around the waist area. At the end of the day make teddy bear clothes which make you happy. Don't worry if they are not perfect.